Welcome to How To Hockey, my name is Jeremy Rupke and I have written and published 100’s of articles and videos to help hockey players improve their game. Currently (through this website and Youtube channel) I help thousands of hockey players a day improve their game. After a number of years of publishing free articles and videos I saw the need for more detailed explanations and in-depth training. Some players wanted more than just a 2 minute video, or an article that just covers the basics. This is why I created the following premium hockey training courses. The courses below cover everything you need to know from top to bottom, front and back. All of the information you need is covered in detail in one easy-to-find place. I teach the mental aspect to make you a smarter player, drills to improve, and goals that you can strive to achieve. This is the first course I created, it will help make you a better hockey player by teaching you to have total control of the puck around your entire body. I include quite a few mental tips that will make you a smarter hockey player so you will know what to do when you get the puck. If you want to become better with the puck this course is for you. 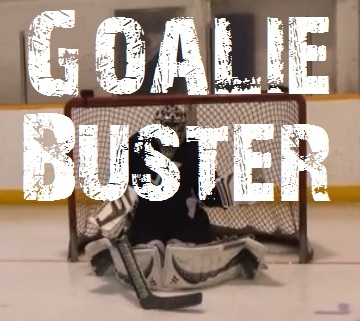 The goalie buster was created because this is the one aspect of hockey that no coach ever teaches, SHOOT OUT MOVES! I teach you 20 different moves that can be done on the goalie depending on how you are approaching him. This course will give you confidence when you find yourself on a breakaway or get in close to the goalie. No more freezing up and missing chances! Knowledge on how to score on any goalie no matter where you approach him from!